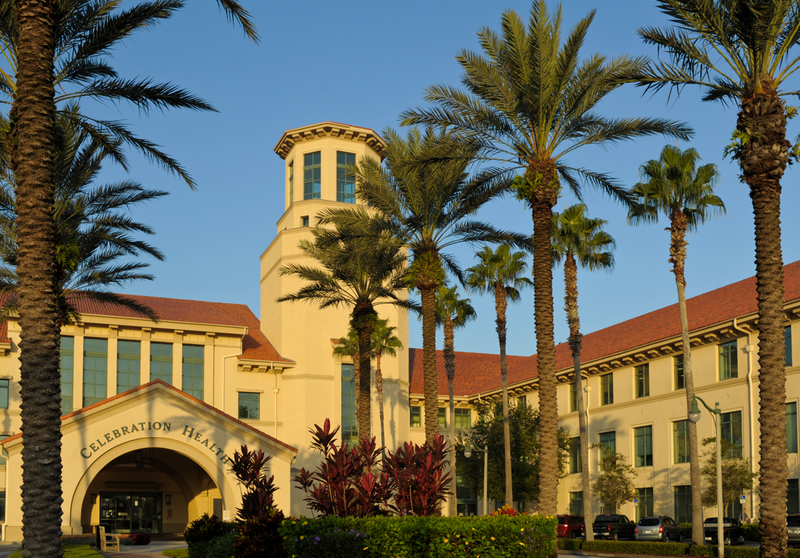 A new patient tower, opened on Aug. 11 at Florida Hospital Celebration Health, features a suite of RTLS solutions from AeroScout. Designed as a "living laboratory," the tower is meant to be a model for the latest in patient safety and staff efficiency. This slideshow offers an inside look at the patient tower. Click on the images to enlarge. 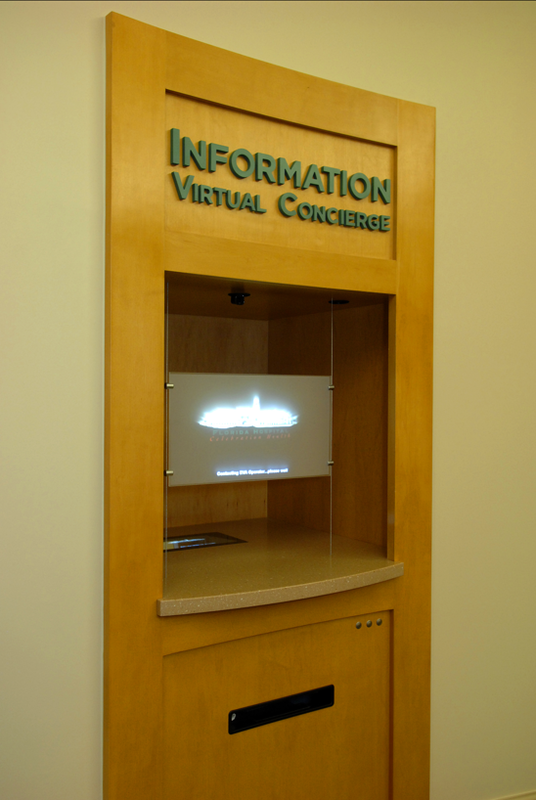 Celebration Health provides "virtual concierges" at key locations throughout the facility. The kiosks are staffed by people ready to help with directions and information. Celebration Health's new patient tower features AeroScout's Wi-Fi-based solutions, which leverage the hospital's standard Wi-Fi network and thus don't require hard wires or a separate, proprietary sensor network. Celebration Health is using AeroScout applications, including Asset Tracking and Temperature & Humidity Monitoring, to help improve hospital operations, care and patient experience. 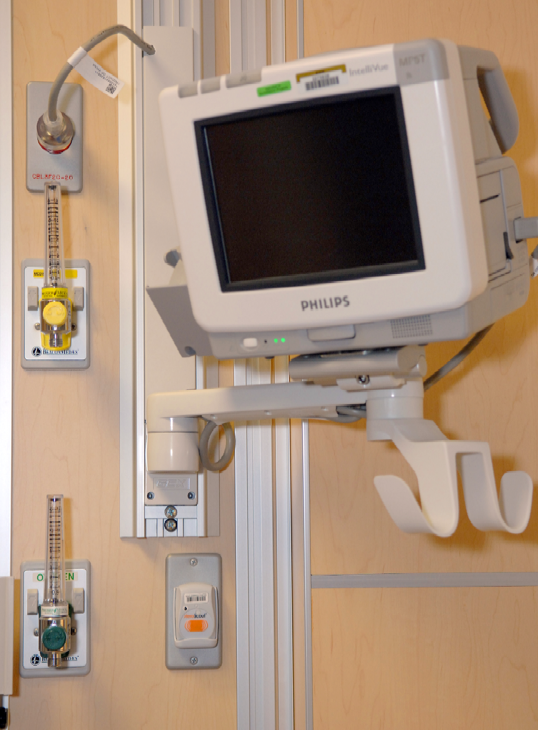 IV pumps are one of the most commonly tracked pieces of equipment in hospitals. AeroScout's Asset Tracking application improves productivity and equipment utilization by locating pumps quickly and automatically. This also helps with preventive maintenance and potential recalls. 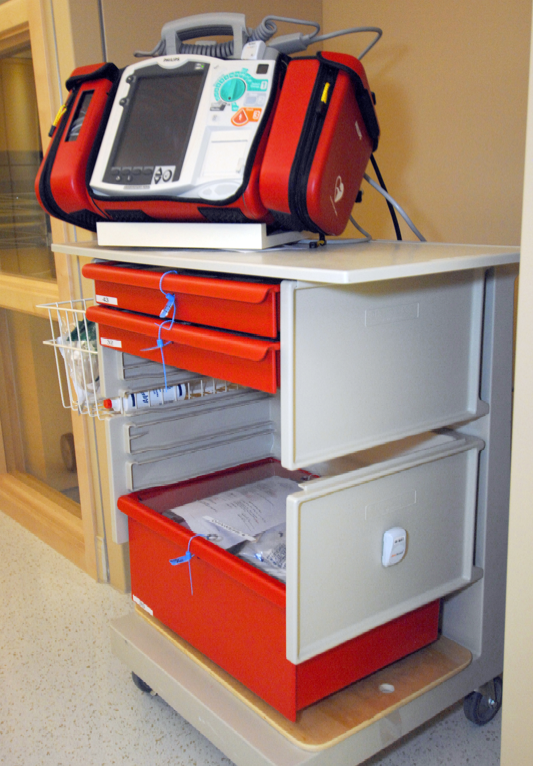 Wi-Fi RFID Tags and software help ensure that IV pumps are available promptly when they are needed for patient care. At Celebration Health, many types of medical equipment are tracked, managed and optimized using AeroScout's Wi-Fi RFID solution. 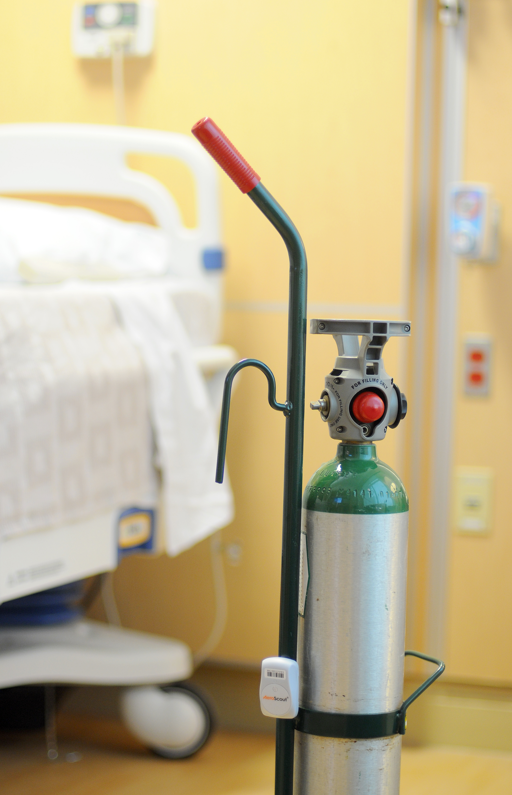 This saves clinical staff time and makes it easier to properly maintain equipment, increase utilization and reduce equipment loss. 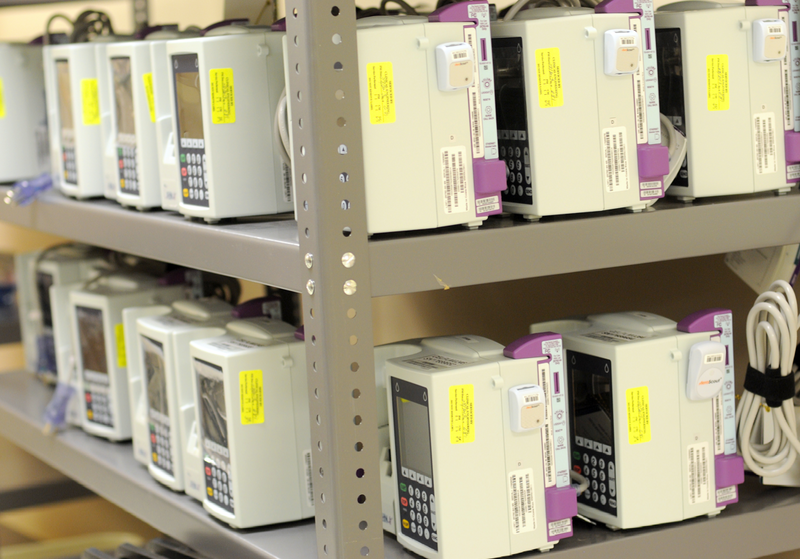 Using AeroScout's Wi-Fi Tags and MobileView software, Celebration Health can track the location of crash carts and monitor the expiration date of time-sensitive supplies. Adventist Health System, the parent organization of Celebration Health, also uses wireless temperature monitoring and asset tracking across 33 of its sites, including at the new patient tower. 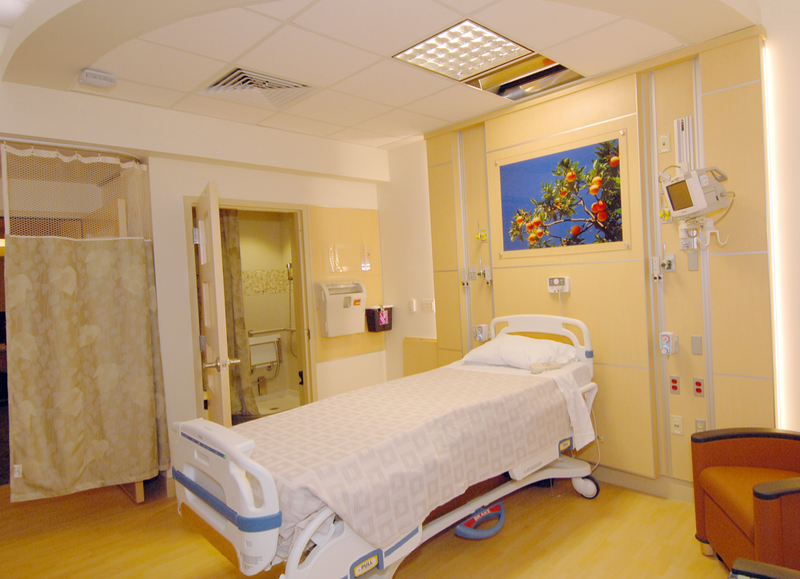 In this photo, the Temperature & Humidity Tag monitors conditions in the room to help with patient comfort and experience. 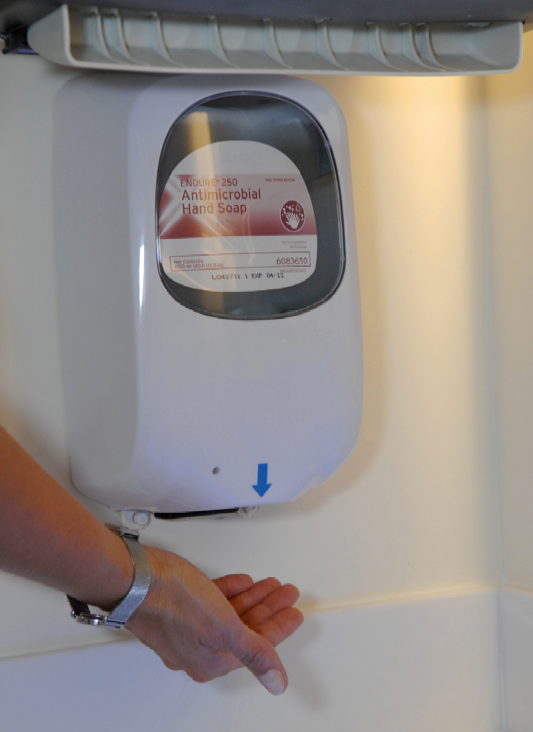 Celebration Health plans to implement AeroScout's Hand Hygiene Compliance Monitoring solution to keep track of if, when and where staff members sanitize their hands with either soap or waterless gel.